Mike is in his second year as a board member. He also used to be a Big Brother. His career took him away from Elgin County for several years but once he returned he wanted to give back to his community and be involved in a meaningful way with like-minded people. He came back to Big Brothers Big Sisters because it is a great organization that helps youth in need. When he was a big brother in the early 90’s he saw firsthand the impact mentoring has on the growth and development of a youth. He saw his mentee grow in his self-esteem, confidence, wellness, and happiness. Being matched allowed an opportunity for his mentee to have a stress free time while they were out. The connection he had with his mentee has stayed with him after all these years. Mike says there is value in the program not only for the mentee but for the volunteer as well. The personal impact helped him mature as a person, prepared him better for his career choice, and gave him a different perspective. When asked if it took up a lot of time to be a board member Mike said, “As a busy manager in his career there is ample time to contribute to the board. It isn’t a big commitment to impact the future. It hasn’t taken away any time from work or family and the payoff is worth it”. 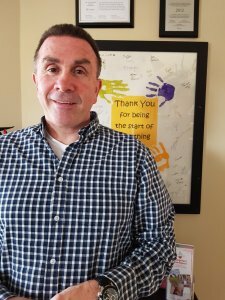 Working in Elgin County he sees the positive impact that our programs have on youth. He encourages others to become a board member as we need representation from all areas of the county and it is an opportunity to influence future citizens in a positive way.